Isn’t this amazing? Su Blackwell is a UK artist working mainly with paper. 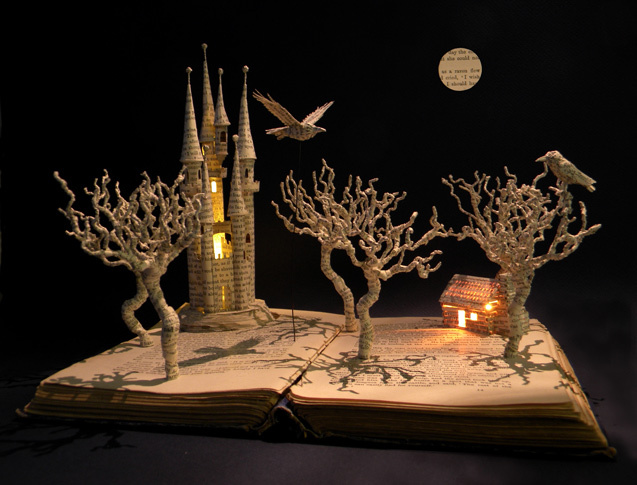 She’s created a series of book-cut sculptures inspired by fairy tales and storytelling and this one is called The Raven. To find out more and to view all of the sculptures, visit her website here.